Nagoya Station, which has the world's tallest station building "JR Central Tower", is not only the main thoroughfare of Nagoya, but also the most prosperous area. Nagoya Station is co-constructed with Takashimaya Department Store making it convenient for those that want to buy a gift or enjoy Nagoya food. Nearby is Nagoya's most famous giant human-shaped doll "NANA-chan" (ナナちゃん) opposite of Meitetsu Department Store which is an international boutique. 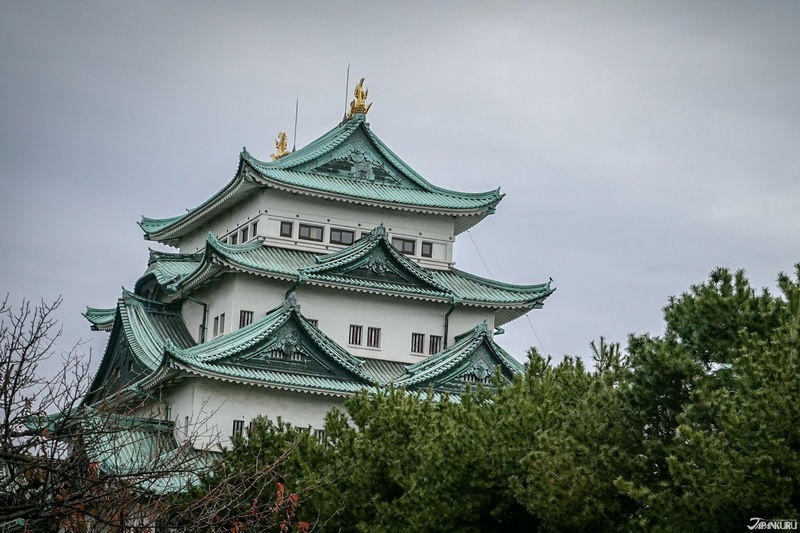 Nagoya Castle is one of the top 100 famous castles in Japan. It was constructed on the orders of the Edo period's famous warlord Ieyasu Tokugawa in order to secure an important position against possible attacks coming from Osaka. The castle is currently undergoing renovation and is expected to be completed in 2022. It has now been merged into a park so be sure to take a walk around the park filled with many flowers such as cherry blossoms, camellia to peonies! 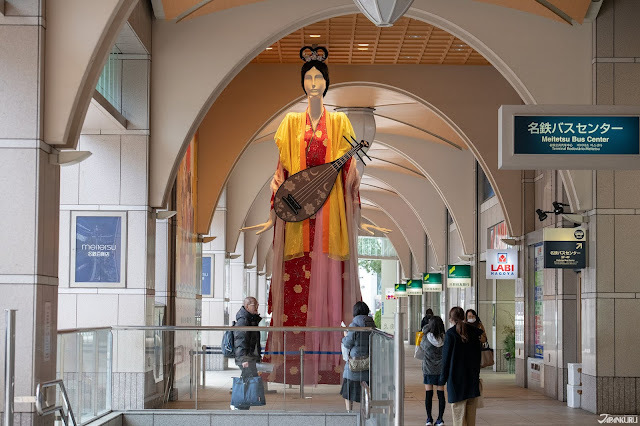 NANA-chan is a huge, 6.1-meter-tall white woman-shaped, mannequin statue near Nagoya Station and is often the meet-up spot for those in Nagoya (like Hachiko is in Shibuya). Her look changes often to match the season, so every time you come you are likely to see w different NANA-chan. 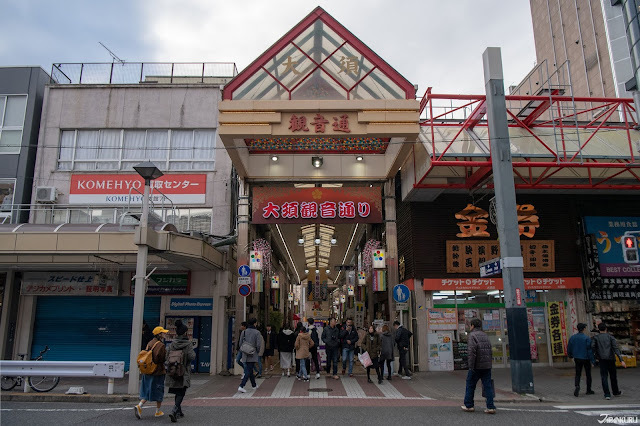 From the Edo period, the shopping street, Osu Kannon, which is based on the Osu Kannon Temple and Banshoji Temple, has a history of more than 400 years and is 1,700 meters (1 mile) in length. There are more than 1,200 shops here selling food, clothes, vintage goods, even things catering to the otaku culture making it a very popular shopping street. The upcoming Japanese holiday Setsubun (February 3rd) will also be held at Osu Kannon Shopping Street. Other festivals are also held here such as the Osu Summer Festival (大須夏まつり) which is in early August and the Osu Daido Chonin Festival (大須大道町人祭) in October. If you happen to be on the 8th and 28th, every month there is an antique market in the square of the Osu Kannon Temple. 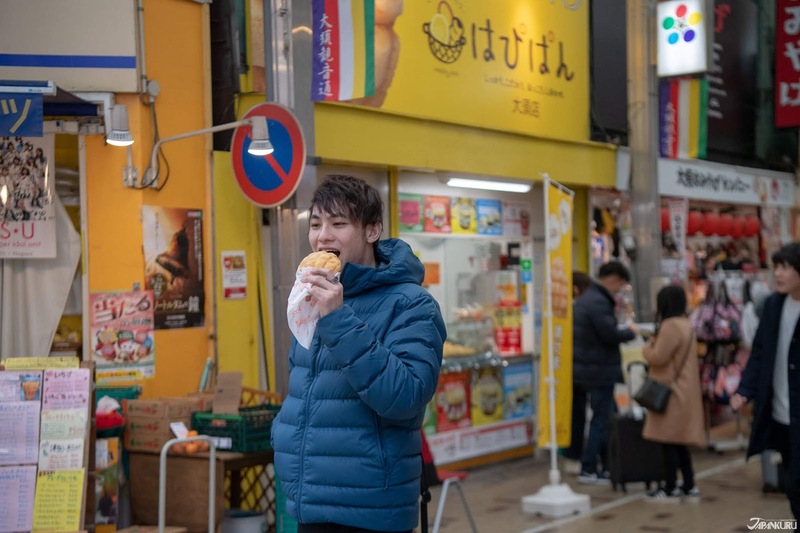 Here you can enjoy deliciously fresh melon pan by itself or as an ice cream sandwiched. One bite will easily get you hooked. There is a chance that if you go they'll be out of a batch of bread but waiting a few minutes until the next one is done is totally worth it! Steamed buns, or "manju" is one of Japan's most beloved sweet snacks and is normally filled with sweet red bean paste. 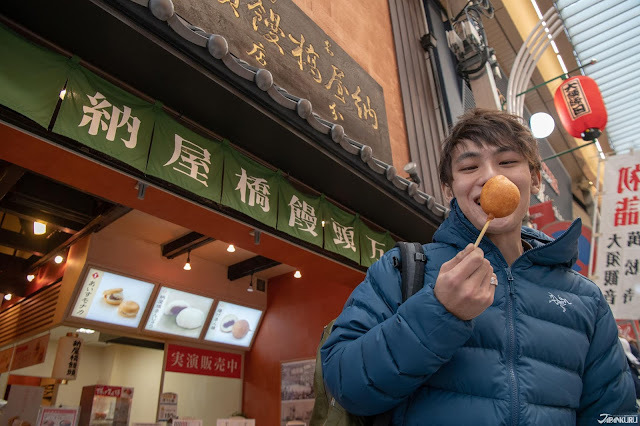 This manju specialty shop is mostly known for it's "only in Osu" type of manju, fried manju on a stick (揚げまん棒; ageman bo) which is like eating a donut. 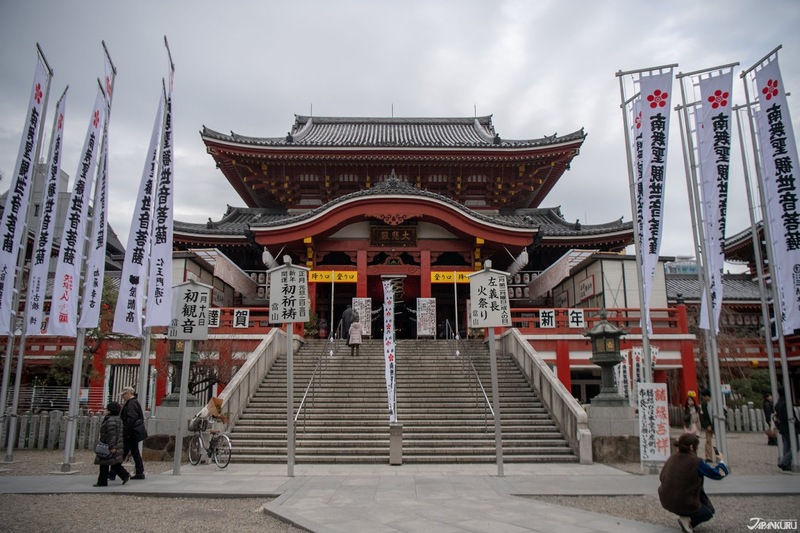 Osu Kannon Temple is Nagoya's most famous and popular temple. 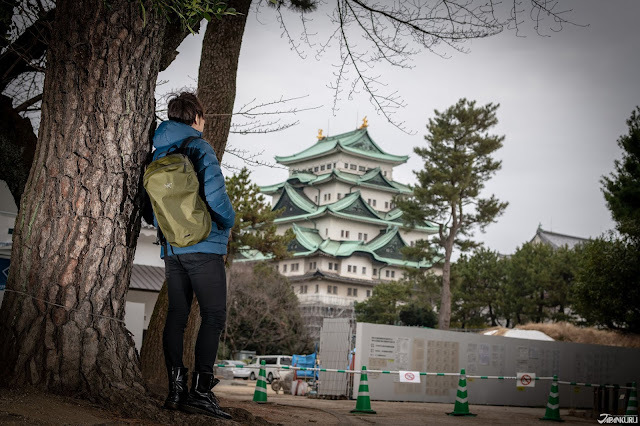 Built in 1333, it originally was located in a village in Gifu Prefecture, and after the construction of Nagoya Castle in Tokugawa Ieyasu in 1612 ordered it to be relocated at its current location. As in the name, the temple is dedicated to Guanyin, called "Kannon" in Japan, who is the goddess of mercy. At the temple, there is a large wooden statue of Kannon that was carved using a special tool to Japanese Buddhism. The statue, along with a five-storied pagoda which were built during the Edo period. At the main hall of the temple, there is a large, red, paper lantern. Visitors can write wishes on small pieces of paper then attach it to the wires supporting the big lantern in hopes of having them granted by Kannon. If you are interested, there is a library beneath the main hall of the temple that contains over 15,000 classic texts from Japan and China, as well as a number of sacred items deemed "national treasures" and "important cultural properties." 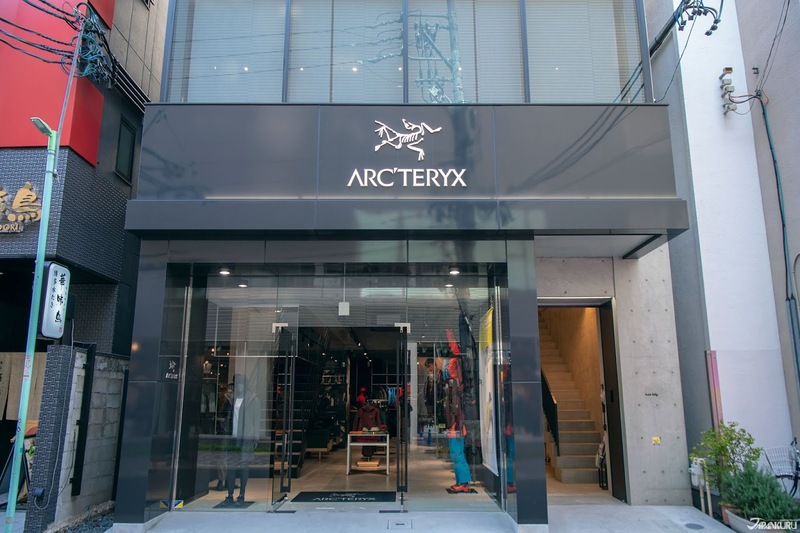 The high-performance outdoor equipment brand Arc'teryx recently opened a branch in Nagoya and it has apparently been big news for those living in there. 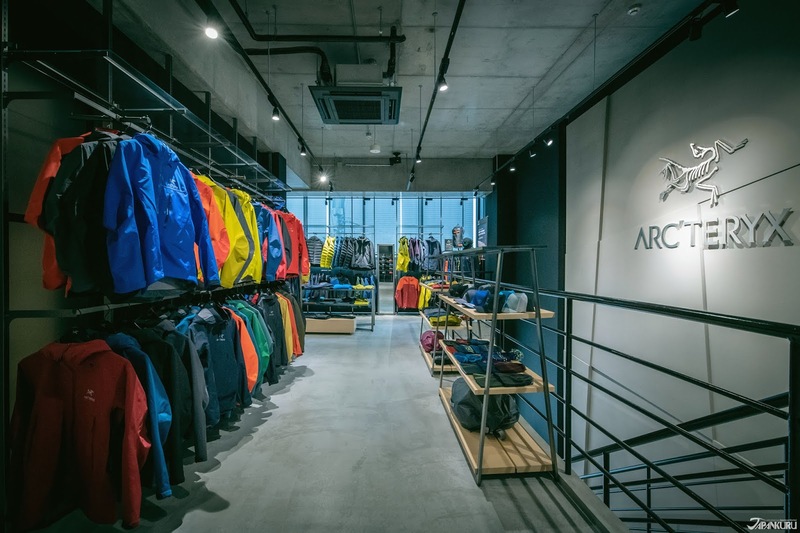 Even for outdoor wear fans due to this branch being the biggest store in Japan to date. 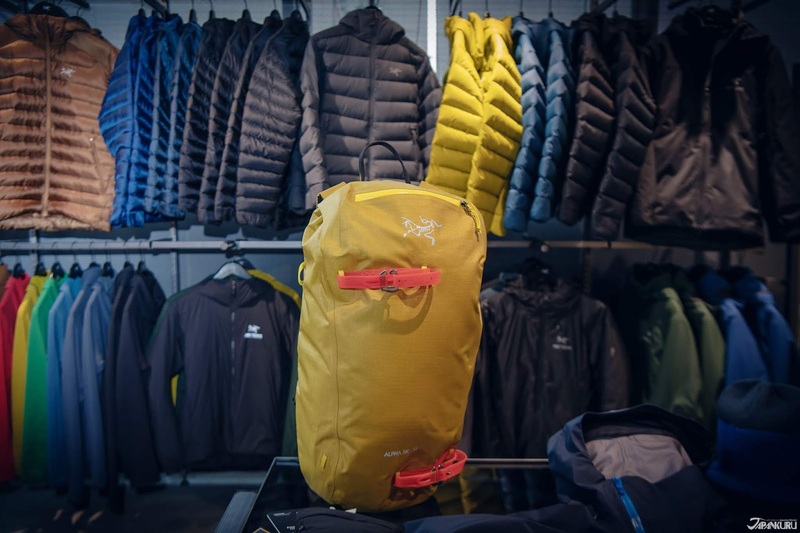 Arc'teryx's long-term relationship with Gore-Tex is a big reason they have some of the best windproof, waterproof, warm yet breathable clothing. 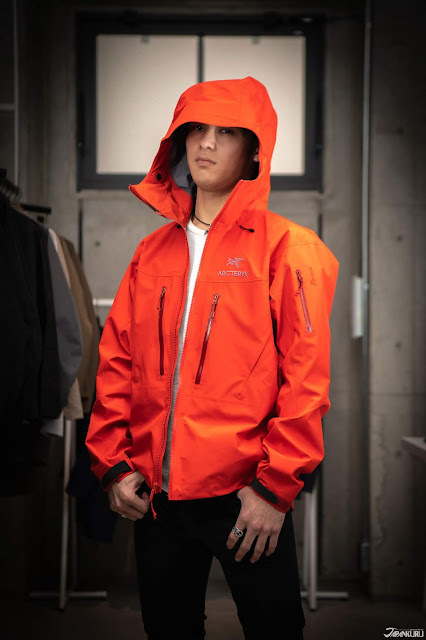 If you are unaware it Gore-Tex, they are known for specializing in the development of clothing technology, such as water-resistant zippers, micro-seam technology, waterproof glue strips, making the garment more durable. 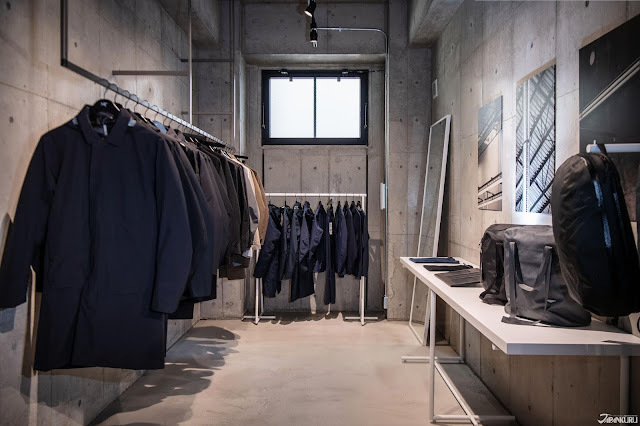 Since it is such a popular place to shop lately in Nagoya, we decided to stop by and take a look. This is a casual jacket with a simple design that is versatile. 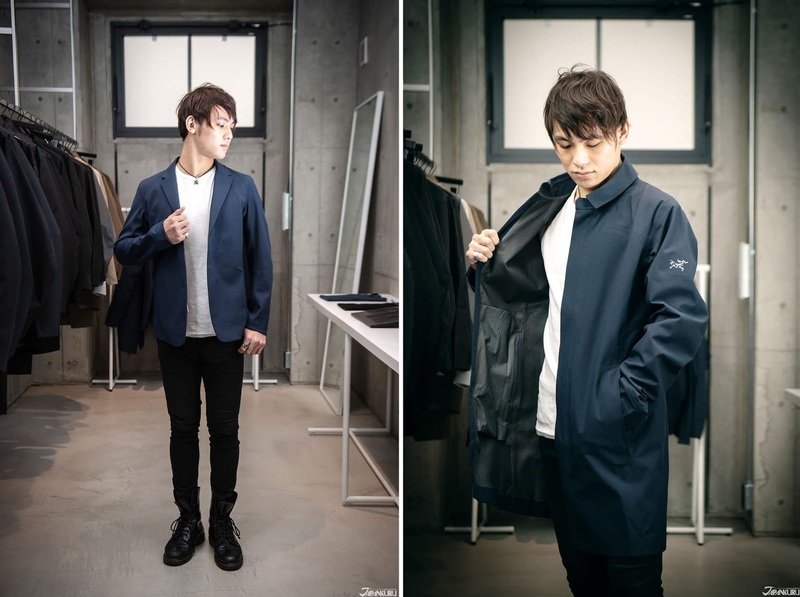 The fabric is Gore-Tex's waterproof and windproof, and the soft down lining makes it the most popular item. 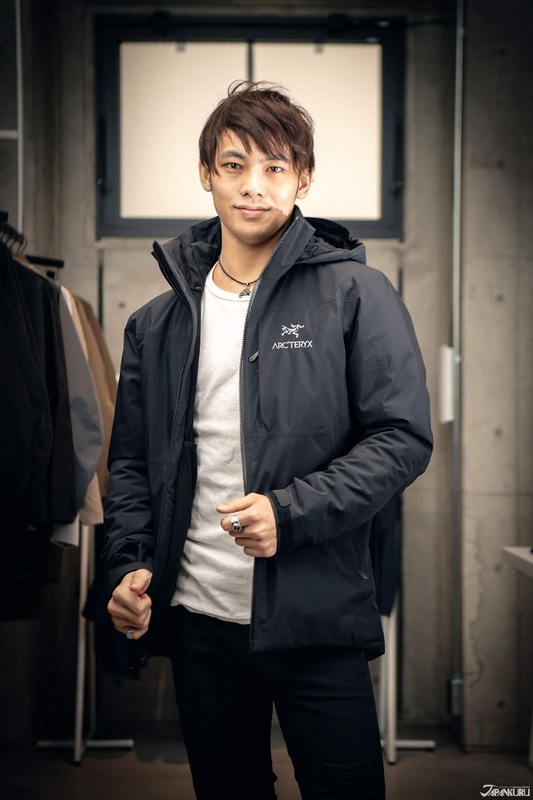 If you are like mountain climbing, this Arc'teryx jacket is recommended. It consists of their ALPHA series, which has climbing and alpine focused systems and their SV series which withstands against severe weather. 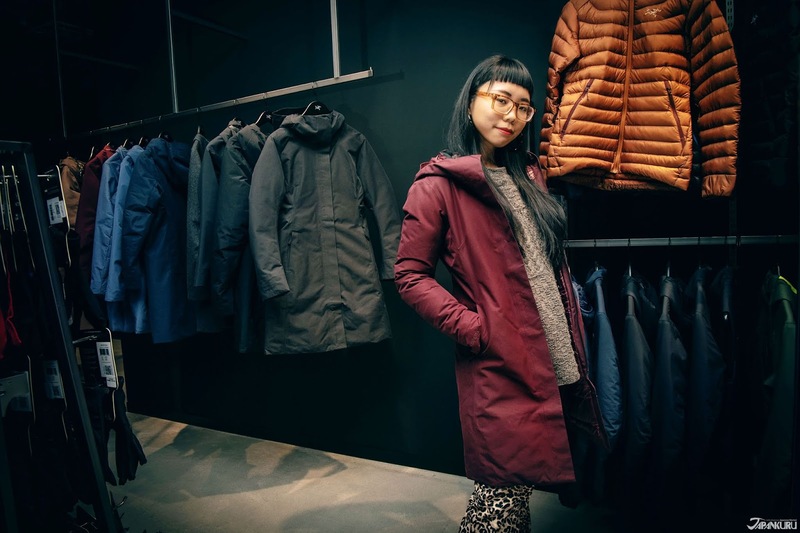 It is thin and light, suitable for long-term mountaineering. 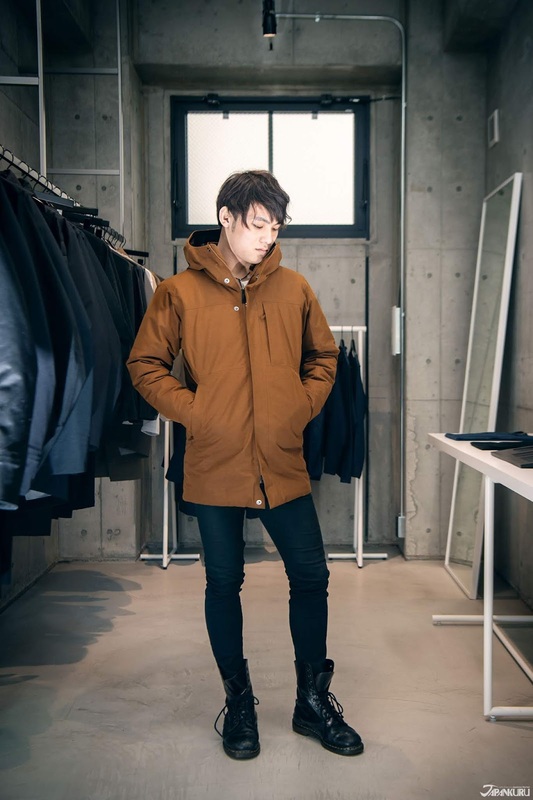 Unlike the previous two pieces, this down jacket is a part of their FISSION series which is the warmest fully waterproof jacket. It is great for those who live or often visit wet and cold areas. 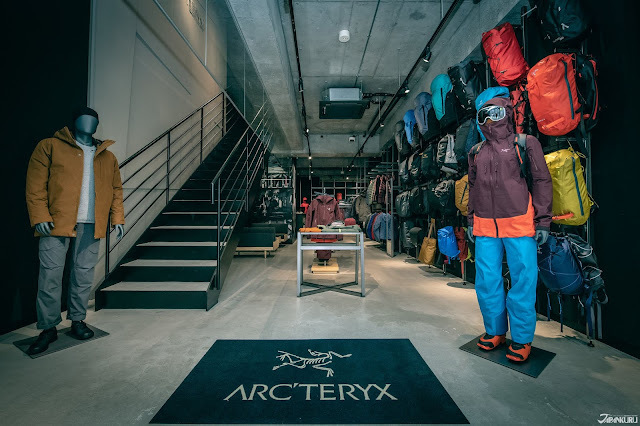 At this Arc'teryx brand store, there is also a whole wall filled with backpacks and shoes giving you a variety to choose something that matches your style and personal needs. The store clerk pointed out two must-see items that are special to the store and brand. This lightweight, durable bag is their latest item that is ideal for hikers and ski/snowboarders. Arc'teryx has a high-end series "Arc'teryx VEILANCE", which mainly consists of black and navy wear. The simple and slim design is very suitable for those are into a chic fashion look. Made of waterproof and wind-resistant Gore-Tex fabrics, the Arc'teryx VEILANCE series, which combines fashion and function, allows you to feel comfortable no matter what the weather conditions are. 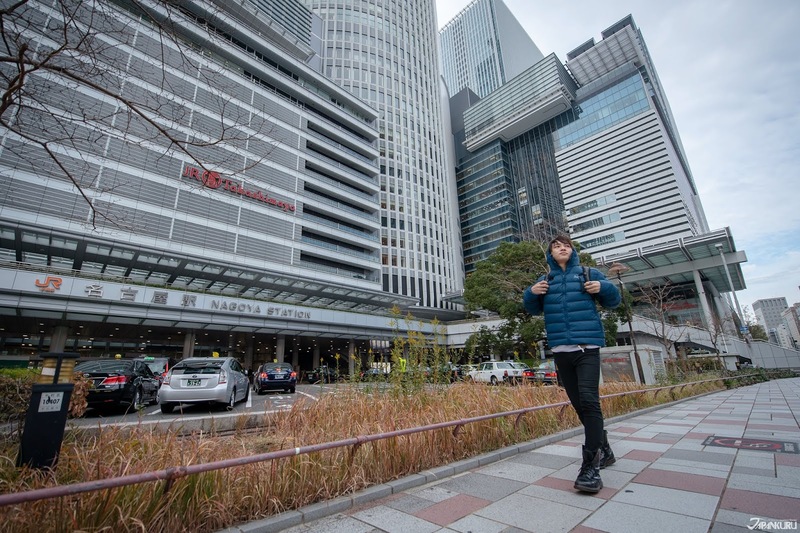 After shopping at Arc'teryx, we went around to enjoy some of Nagoya's great food! Nagoya is most famous for its delicious food, especially dishes like miso katsu (みそかつ), miso nikomi udon (味噌煮込みうどん), chicken wings (手羽先; tebasaki), and Ogura toast (小倉トースト), which is what brings a lot of Japanese people to Nagoya. So while you are out and about sightseeing and shopping, be sure to eat some of their delicious local cuisine! Such a nice winter Such a cool outfit outfit. You have shared an awesome blog.